Through Service learning, students identify themselves as part of the community, pick up on civic engagement skills and learn about civic responsibility. They work and for the community, developing empathy and respect and gain a deeper understanding of themselves. Spot-fixing is an initiative taken by students with the aim to restore Bengaluru’s pristine beauty and its status as a ‘Garden City’. They coordinate with the civic authorities to ensure that the streets around the school’s vicinity are devoid of garbage. Spots around the area are identified and beautified by painting art and planting saplings. Students also participate in educating local residents about the importance of segregating their garbage and how it is done. 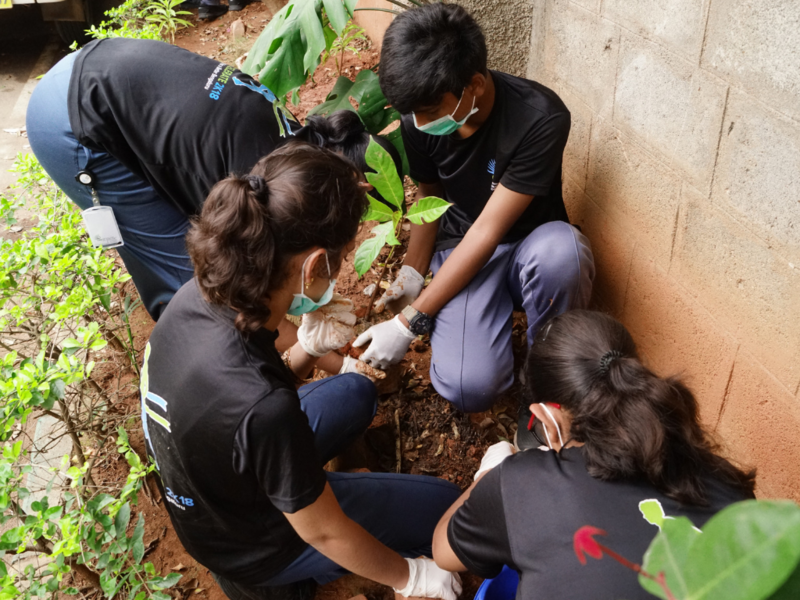 From the CMRNPS Blog: Students collaborated with members of the BBMP to spot-fix select areas of Frazer Town, Bangalore. Click here to know more about their efforts. Students of CMR National Public School organized Accelerate 2K18, a marathon event that raised funds towards spot-fixing 50,000 square feet of Bangalore Urban. 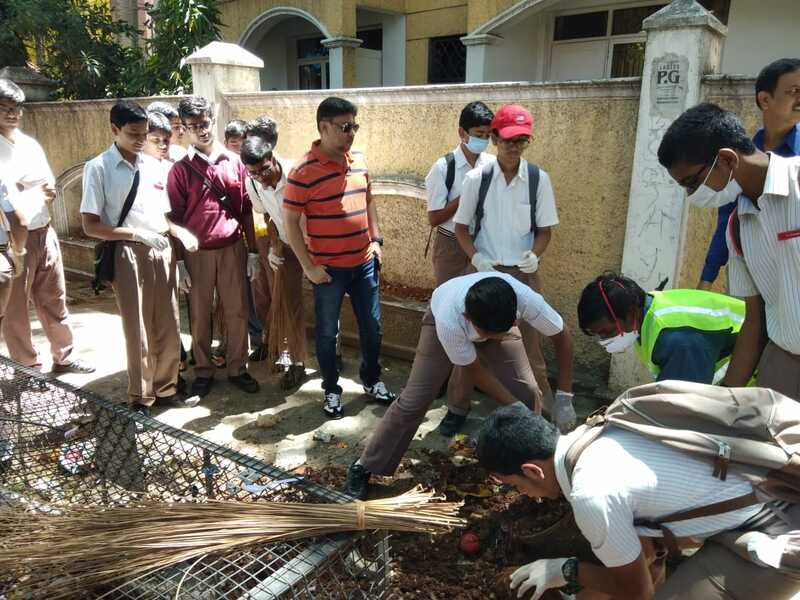 As promised at the culmination of the event, students of CMRNPS came out to the streets of Bengaluru, making their contribution towards a cleaner and greener city – by planting saplings, beautifying and spot-fixing various corners of the neighbourhood. 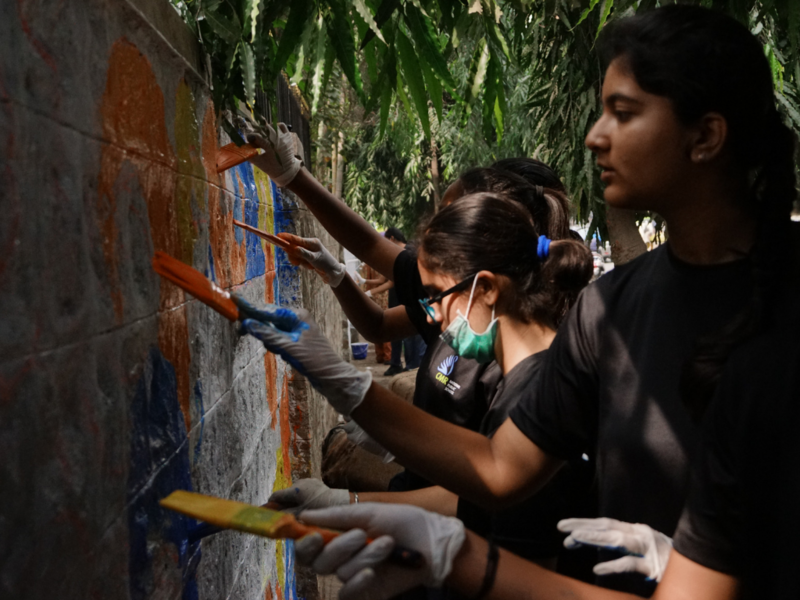 Video: Watch the students plant saplings and paint sections of the city in the bid to beautify and greenify Bengaluru. To inculcate the value of empathy, the school conducts charity work which is student’s initiated. Students raise money for charity by conducting newspaper drives, selling handmade items and paintings during school events or by donating items like stationery and groceries. Money raised from these is used to buy materials for old-age homes and orphanages. In the event of natural calamities, students volunteer to run such drives to help those in need. In addition to this, students participate in voluntary service for WISE (Workshop for Innovation in Science Experiments), which is aimed at making learning more innovative and interesting and focuses mainly on underprivileged children. WISE was set up by two of our ex-students, Shashwat Behl and Sai Suhas K. The seeds for this campaign were sowed when these students were with us in Grade IX. Their perseverance and dedication has now borne fruit and is benefiting the children in the lower strata of society. Our students, in collaboration with REAP Benefit, conducted research on the utilization of resources in school. The research led them to take steps towards saving resources in school and at home which in turn will make a difference to the Environment. Different bins are being used to segregate dry and wet waste in school. As part of the initiative, students installed 6 water saving Jet-UPOS in the school campus. As a result, the project saves 2,63,364 litres of water every year! Unused drinking water is collected in drums at the end of every day which is used to water the plants. Students have also been creating awareness on minimal use of electricity in school and homes.